Upon purchase you will receive, via email, your Order Confirmation. This Order Confirmation MUST be redeemed for official party wristbands. They can be redeemed at the Welcome Point. Either print your order confirmation or show it on your mobile device for redemption. You can pick up wristbands for a friend(s) provided you have a copy of their photo ID and their order confirmation. Wristbands not picked up at Welcome Point during operating hours will be available at the venue’s Box Office. Your wristband is personal and non-transferable. You must wear it for all days of the Festival. Any lost wristbands must be repurchased for admission. 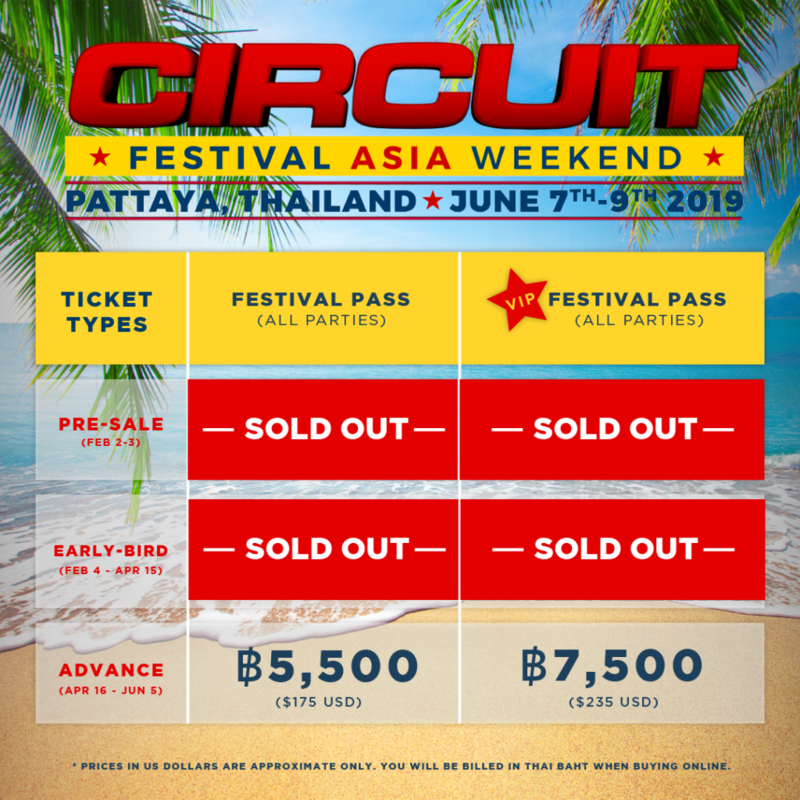 Damaged or cut-off wristbands will need to be replaced for 200 Baht fee. 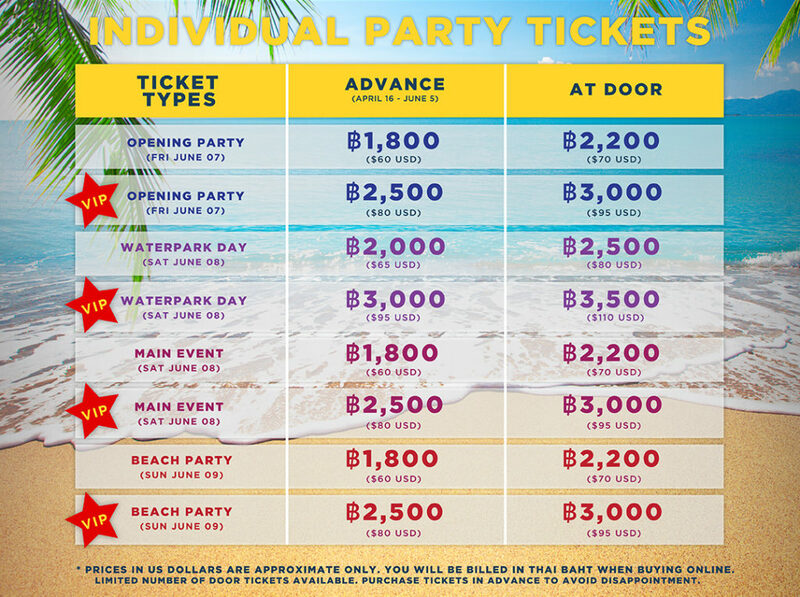 The organizer reserves the right to invalidate the wristbands and prohibit entry to anyone who do not follow the Festival’s rules & regulations or behaves inappropriately at the party. No refund will be given.